SANTA MONICA—After 16 months of construction, Santa Monica Municipal Pier opened to the public on Sept. 9, 1909. Pictured here are a few folks enjoying the newly built pier. In 1983, after local council members had failed to close the pier down, a storm destroyed over a third of it. Santa Monica Municipal Pier was rebuilt in 1990 and it is still a popular tourist attraction today. Photo provided by Santa Monica Pier Corporation/Hernage Family Collection. 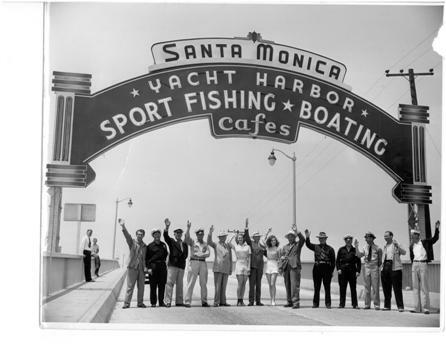 Visit smgov.net to learn more about the history of Santa Monica Municipal Pier.